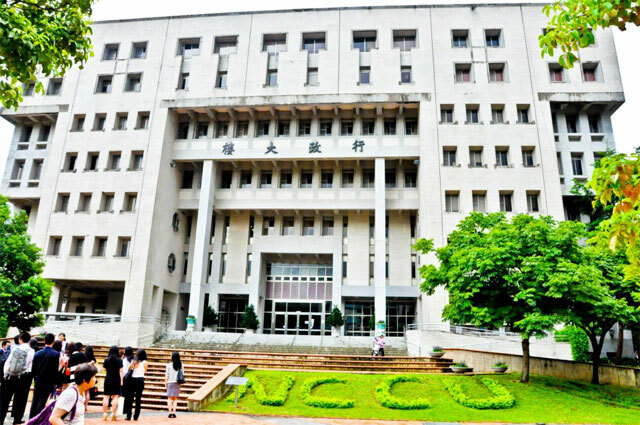 Established in 1927 and located in the beautiful city of Taipei City, Taiwan, National Chengchi University (NCCU) is one of the top national universities in Taiwan, with the College of Commerce earning the AACSB International accreditation for Business Schools. NCCU is noted for its humanities and social sciences disciplines and currently housing 9 colleges, including liberal arts, science, social sciences, law, commerce, foreign languages literature, communication, international affairs and education, which comprise 34 departments and 45 graduate institutes (MA programs). Although it has changed its name and constitution twice in its relatively brief history, the goals and ideals of the university have always remained steadfast: the search for truth, the commitment to academic research, the cultivation of future generations of leaders, and the ability to recognize and respond to changes shaping society and academia. NCCU offers over 500 English taught courses, as well as a number of English taught International Programs at the undergraduate, master’s, and doctoral levels. Courses are offered on a semester basis. Located at the heart of the university, The Chiang Kai-shek Memorial Library of NCCU is the central management site for the access of information within the community of researchers and students. A collection of eight service and research centers also ensures the smooth flow of information across the many disciplines that make up the NCCU system.